We all know that one person who’s absolutely crazy about cats! And who knows it could well be you who’s the proud “crazy cat lady” of the neighbourhood if you’re reading this game review. Well, rest assured you’re not alone in thinking that cats are awesome! Indeed, in Not Enough Kittens video slot Thunderkick is paying tribute to the misunderstood cat fanatics. In fact, this game will take you to P.U.S.S. University laboratory where an old lady professor found a way to multiply cats with her latest invention and make you win big along the way! So what could be more fun than big wins and cats? Well, double kitten symbols of course so that you can completely immerse yourself in feline love if you play Not Enough Kittens! As seen above Not Enough Kittens Video Slot has 2 features. So let’s start by telling you a bit more about the double symbols which are activated every time a wild symbol lands on the reels in both the base game and in the Free Spins bonus. First, it’s worth knowing that the doubling feature will only affect one cat symbol per payline, but you can have multiple double symbols on the reels. Second, you’ll see both the cat and wild symbol double up after the mad scientist animation is triggered at the top of the reels. The last feature is, of course, the Free Spins bonus. And you can win up to 25 Free rounds with the help of 3 or more Scatter (Free Spins) symbols. Also, know that you can re-trigger the feature within the bonus itself and that the Scatter symbol can also appear double! All and all, the gameplay of Not Enough Kittens Video Slot is quite soft and colourful! Which means this game is ideal for novice casino players. What’s more is that this slot is also of low to medium volatility. So high rollers who like to play “safe-games” will also enjoy this slot. Because the low volatility index means that experienced players can place large bets without risking too much and still have the chance to pocket a decent max win of £365,000. Granted that this video slot is not jammed-packed with features. In fact, players can only trigger double symbols and Free Spins, but if you know your games well. You know that it’s this exact feature combination that made Double Davinci Diamonds a hit with many players! “Feeline” in the mood for some kitty love? 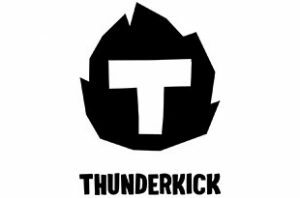 Then visit any online casinos listed on this page to try this Thunderkick Slot.